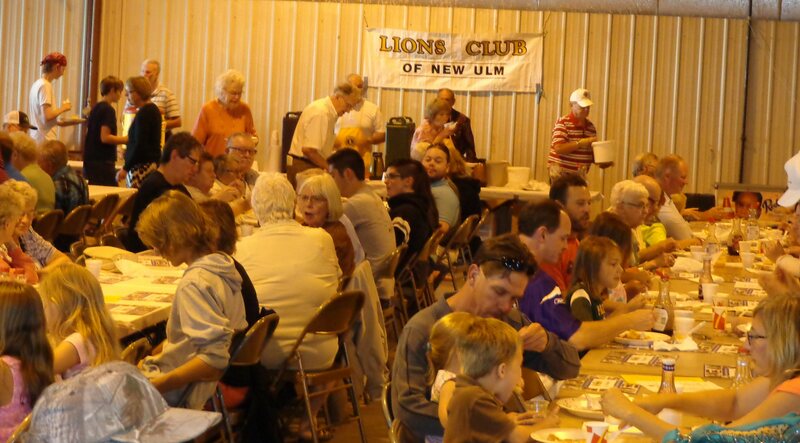 On Sept. 9, 2018 the New Ulm Lions Club served 1600 people at our 45th annual Fly-In Breakfast. This is the Lions Club's largest fund raiser of the year. Thank you to all who supported us in this endeavor. 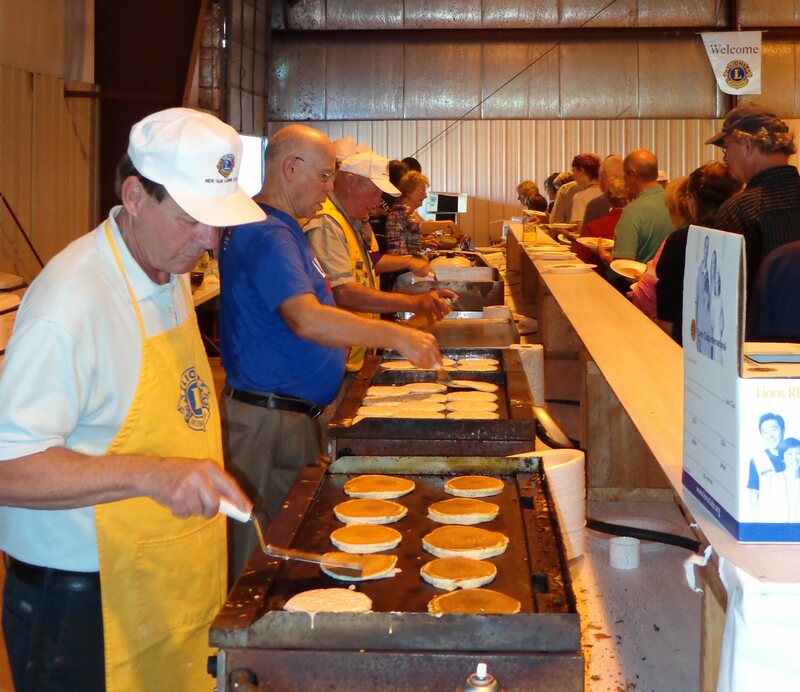 The funds raised at the New Ulm Lions 45th annual Fly-In Breakfast will be used to support the Sight, Hearing and Diabetes impaired and for other humanitarian needs. The New Ulm Lions Club presented Helen Keller Sight Awards to Dr. Rebecca Huisken and Lion Brad Kirk at their February 14th meeting. Pictured, L-R, PDG LeRoy Levorson, Dr. Rebecca Huisken, Lion Brad Kirk and Lion Glen Setterholm. The Lions Club of New Ulm donated $500 to the New Ulm Area Emergency Food Shelf in Nov. 2018. Executive Director, and Lion, Brad Kirk is shown excepting the donation from New Ulm Lions President Gayle O'Connor and Lion John Micheel. Peace Poster Winners L to R, 1st Place, Peyton Blickem; 2nd Place, Addison Hage and 3rd Place, Brody Hacker. Back row, Peace Poster Judges, L to R, Lorena Krueger; Gayle O'Connor, Glen Setterholm, Jan DeLeo and Vickie Tambornino. Not pictured, Mike Gag. New Ulm Lions did their Fall Ditch Clean-Up on 10-27-18. Lions Wil Burdorf, Chairman; Dean Burdorf, John Micheel, Brandon Stern, Dale Gluth, Avery Wills and Bob Schirlinger walked. Lunch was served by Lions Mickey Witt and Gayle O'Connor. "Thanks"
The NU and Lafayette Area Lions Clubs joined forces on Oct. 6, 2018 to hold the 4th annual "New Ulm Diabetes Walk". All proceeds will be donated to the MN Lions Diabetes Fdn. to find a CURE. Each club donated $1,000. $5,000 so far and counting.